That’s right kids. Pack in your day job and say goodbye to your 9 to 5 because The Cat’s Back is officially hiring. 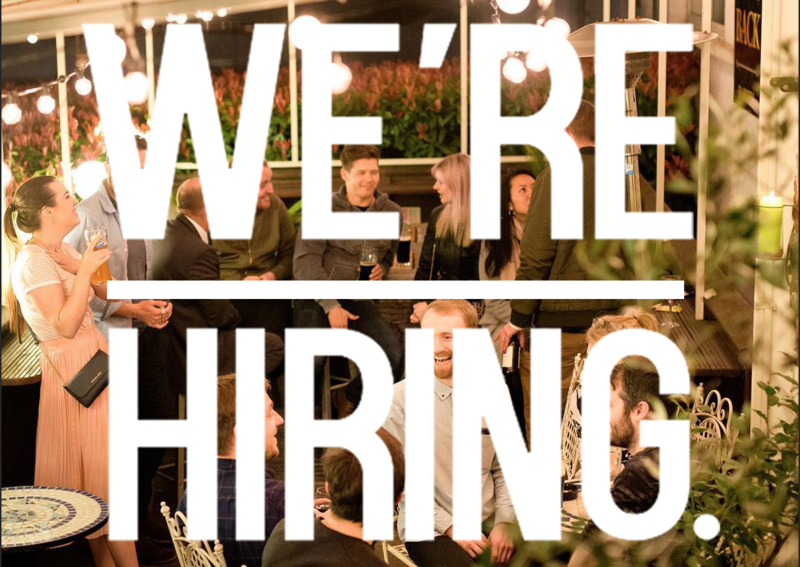 We’re looking for an all-rounder to join our pub family- ideally someone who would happily split their shifts between the bar and helping out in the kitchen. We’re not exactly the most formal bunch here at The Cat’s Back, so no need to worry about handing in a perfect CV, or dressing up for a job interview. Just send us your experience and a bit about yourself, or come in for a chat. You could even do both if you’re feeling particularly enthusiastic. We have a great loyal team here at the pub, none of that middle management nonsense and we are all set on trying making The Cat’s Back the warm, welcoming community pub that it always has been. So if you’re a people person, hard worker not shy of getting your hands dirty, and chatting to locals like they’re in your living room, then you’ll fit in just fine. We do a lot of work with the arts here too, keen on live music and theatre- so anyone who’s looking to help with those events too would be an added plus. In short- the most important part of the job is that you have fun while doing it. We can teach you any skills you need to know to work here, but we can’t teach you how to be an outgoing and positive person, so be that first and worry about the rest later. Please email: thecatsbackblog@gmail.com, give us a ring on 020 8617 3448 or come in and see us at 86-88 Point Pleasant, London SW18 1NN.